As usual with Apple events, a few minutes before the company closed its online store often to update with news that presented during the two-hour keynote. Just when just the keynote, the company re-enables the store showing all new products with their prices. Today Apple may also allow us to make a pre-reservation mini iPad. When the event is over we can see the new products with all kinds of details on the Apple website. The last time we indicated that the mini iPad will not come alone, but a new MacBook Pro with retina display and a Mac Mini could accompany him. It's five minutes for the information starts to come to light. Do not miss our special coverage from News iPhone and iPad news. We started already. 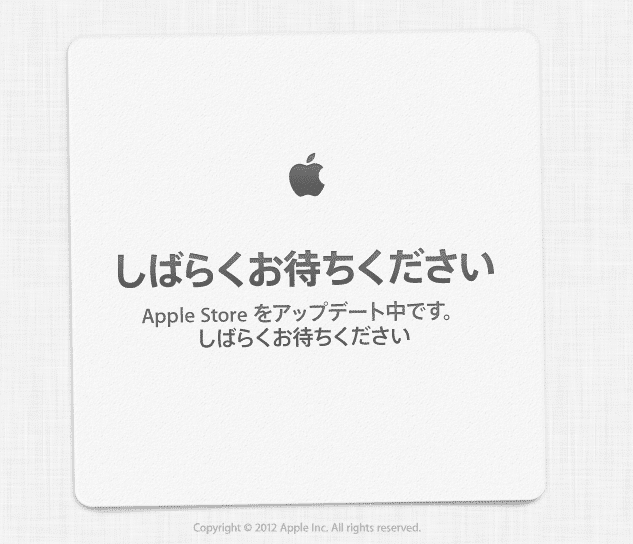 Article Apple's online store off their official website has been originally published in News iPhone .